Look around the factory floor and, as sure as day, a gleaming array of metallic instrumentation and machinery will be staring back at you. Were it not for some incredibly versatile metals, much of these tools, and the products and services that the Process Industry specialises in simply couldn't be produced on a mass industrial scale. PIF examines the advantages and disadvantages of several metals commonly used in manufacturing. Advantages: The most abundant metal in the Earth's crust, Aluminium is relatively soft, durable, lightweight, ductile and malleable metal. It acts as a good thermal and electrical conductor and is also fairly corrosion resistant. Plus, it is theoretically 100% recyclable without any loss of its natural qualities and remarkably nontoxic. Disadvantages: It's not particularly strong and is expensive compared to steel of the same strength. Applications: Aluminium is almost always alloyed to improve its properties. It is commonly used in the transportation, construction and packaging industries. 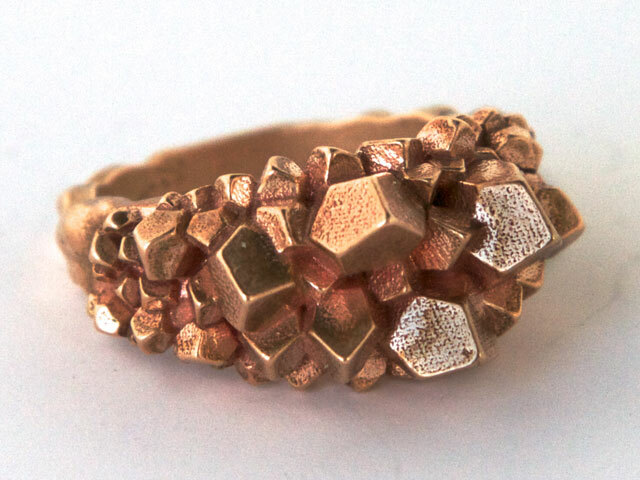 Advantages: Bronze is an alloy consisting mainly of copper but the addition of other metals (usually tin) produces an alloy much harder than plain copper. Bronze resists corrosion and metal fatigue better, and conducts heat and electricity, better than most steels. Disadvantages: Bronzes are generally softer, weaker and more expensive than steel. Applications: Bronze is widely used for springs, bearings, bushings, automobile transmission pilot bearings and is particularly common in the bearings of small electric motors. 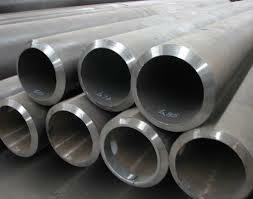 Advantages: Carbon steel's main alloying constituent is carbon. Low carbon steel is the most common and cost effective form. It contains around 0.05–0.320% carbon and is malleable and ductile. Medium carbon steel contains between 0.30–0.59% carbon and balances ductility and strength with good wear resistance. High-carbon steel has 0.6–0.99% carbon content and is exceptionally strong, while ultra high carbon steel contains 1.0–2.0% carbon and can be tempered to great hardness. Disadvantages: Low-carbon steels suffer from yield-point runout and mild steel has a relatively low tensile strength. Applications: Medium carbon is used for large parts, forging and automotive components. High-carbon steel is used for springs and high-strength wires. Ultra high carbon steel is used for special purposes like knives, axles or punches. Advantages: Nickel belongs to the transition metals. It is hard, ductile and considered corrosion-resistant because of its slow rate of oxidation at room temperature. It also boasts a high melting point and is magnetic at room temperature. Disadvantages: Handling nickel can result in symptoms of dermatitis among sensitized individuals. 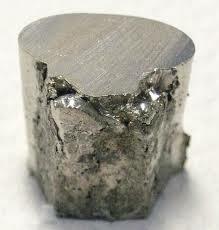 Applications: Nickel is valuable for the alloys it forms and roughly 60% of world production goes into nickel-steels. Specific uses include stainless steel, alnico magnets, coins, rechargeable batteries, electric guitar strings, microphone capsules, and special alloys. It is also used for plating and as a green tint in glass. Advantages: Titanium is corrosion resistant and has the highest strength-to-density ratio of any metallic element. Unalloyed it's as strong as some steels but less dense. Its relatively high melting point (more than 1,650 °C or 3,000 °F) makes it useful as a refractory metal. It is also paramagnetic and displays fairly low electrical and thermal conductivity. 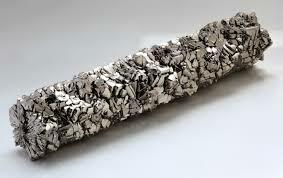 Disadvantages: Costly and laborious processes are needed to extract titanium from its various ores. 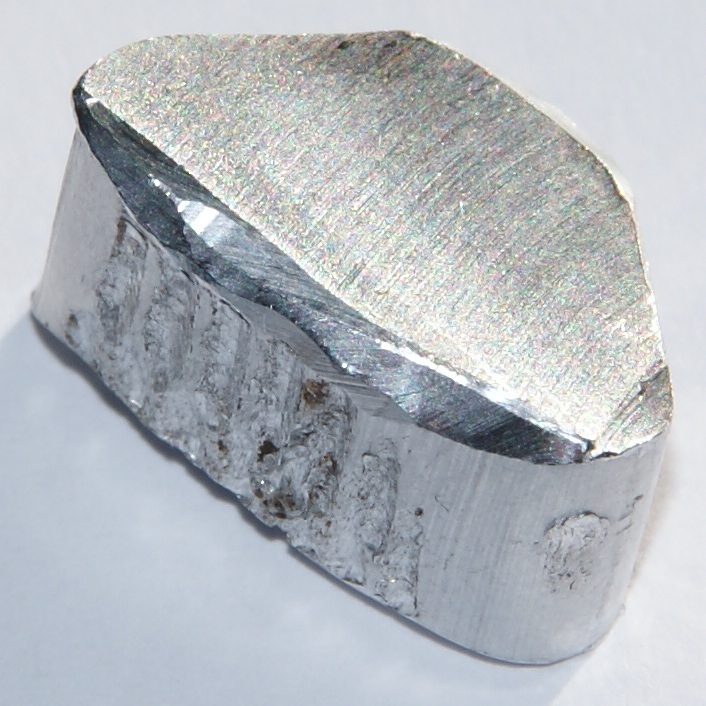 Applications: Titanium can be alloyed with iron, aluminium, vanadium, and molybdenum (among others) to produce strong, lightweight alloys. These are used in the aerospace, military, industrial process, automotive, agri-food, medical, and sporting industries to name but a few.